evilflea: New Monster T-Shirts! 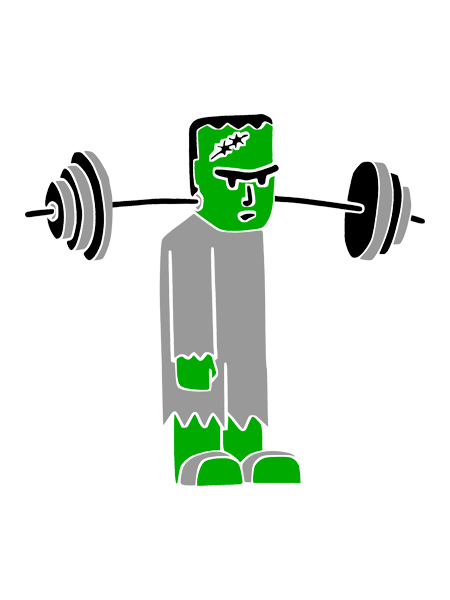 "FRANKENSTRONG"
I actually drew this ages ago, but I had loads of little glitches converting the hand drawn and scanned image into a vector image. I had one last crack at it yesterday which involved Photoshop crashing before I remembered to save everything, and then accidentally messing up the layers on Inkscape. It took all afternoon and evening. Click to go to the shop and buy your Frankenstein/Frankenstrong t-shirt or accessory.